EVGA has announced that it is to issue a firmware update to its GeForce GTX 1070 and GTX 1080 graphics card to adjust their fan curve profiles, following reports of overheating and even permanent damage from minor component fires. Reports of issues with EVGA's GeForce GTX 1070 and GTX 1080 graphics cards have been circulating for a couple of weeks, and were initially downplayed by the company. When it began offering thermal pads to improve the VRM cooling, it appeared to be taking more notice of the complaints; now, it is recommending all users to download a video BIOS (VBIOS) update, to be released in the next few days, in order to protect their systems from potential damage. 'Recently it was reported from several sources that the EVGA GeForce GTX 1080 FTW PWM [sic - EVGA most likely means VRM] and memory temperature is [sic] running warmer than expected during Furmark, an extreme stress utility,' the company's statement to press, issued late last night, reads. 'During recent testing, the thermal temperature of the PWM [sic] and memory, in extreme circumstances, was marginally within spec and needed to be addressed. To resolve this, EVGA will be offering a VBIOS update which adjusts the fan-speed curve to ensure sufficient cooling of all components across all operating temperatures. This VBIOS will be released in the next few days and users can download it and update their cards directly. 'This update resolves the potential thermal issues that have been reported, and ensures the card maintains safe operating temperatures. For those users who want additional cooling beyond the VBIOS update, EVGA has optional thermal pads available [for the VRM modules]. 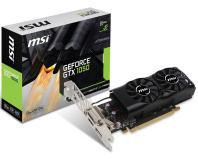 This update is not required, however EVGA will make it available free of charge to any customer who is interested.' 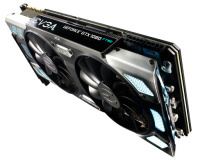 EVGA has also confirmed it will replace any cards damaged during thermal pad installation under warranty, and will also offer warranty replacement for those who do not feel comfortable flashing their graphics card's firmware. 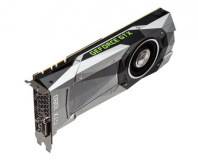 The firmware update is to be released for all EVGA GeForce GTX 1080, GTX 1070, and GTX 1060 graphics cards which use the company's ACX 3.0 cooler; other models, in particular GTX 1080, GTX 1070, and GTX 1060 models which come with alternative coolers such as the reference blower design or EVGA's Hybrid and Hydro Copper coolers, will not receive the update and are not affected by what appears to be a design flaw in the ACX 3.0 cooler. The optional thermal pads are also being fitted to all ACX 3.0 graphics cards currently being manufactured, though padless models will continue to exist in reseller inventory for some time to come.